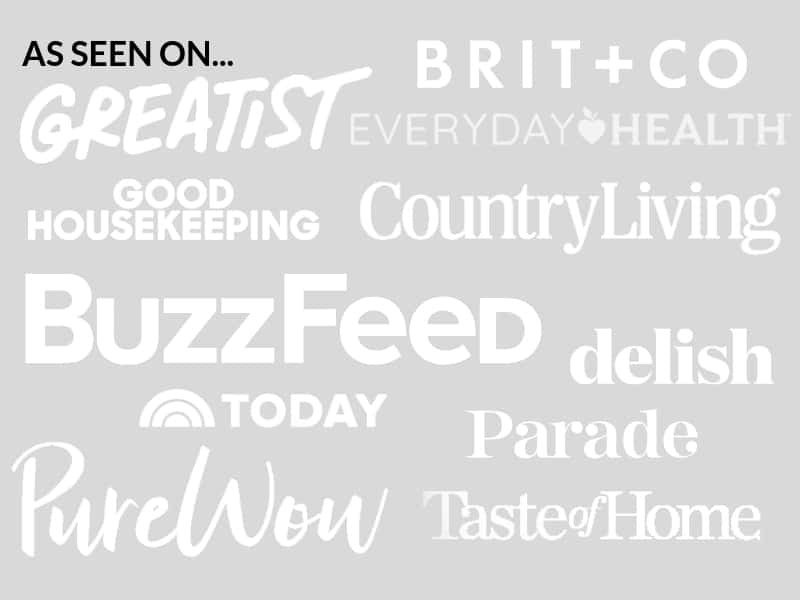 July 4, 2015 By Elizabeth Lindemann 5 Comments / This post may contain affiliate links. Greetings from Austin, Texas! And happy Fourth of July! After an arduous four-day journey in the car (WITH our cat, Oscar), we have finally made it. 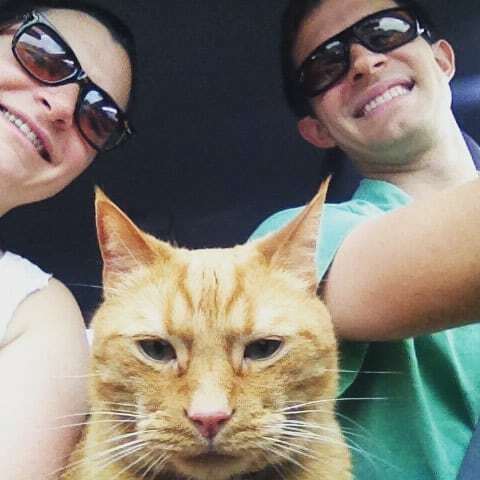 I have never been so happy to not be in a car, and I’m so happy to get back to the blog! Poor kitty. He is much happier now on solid ground that doesn’t move. So, here we go! 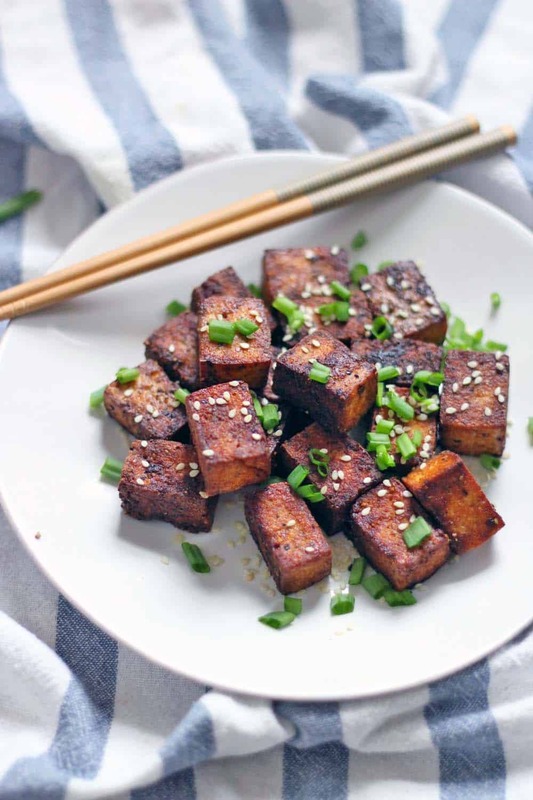 This Pan Seared Soy Sauce and Pepper Tofu is the best and easiest way I have ever cooked tofu. No frying. No breading. Almost no effort, yet it’s extremely delicious: it’s crispy and salty and a tad bit spicy and very simple. Now, you may think that tofu is an odd thing for my first post as a Texas resident, considering Texas is the land of beef and BBQ, and it’s not very festive for the Fourth of July. But I have my reasons. First of all (if you are anything like me), after the gluttony of today with all the hot dogs, burgers, and ribs, you are going to want a little break from meat and crave something healthier. Second, I made this before I moved after my sister suggested it as a way to prepare tofu (thanks, Katherine! ), and already had the photographs of it taken. I haven’t exactly gotten into a cooking routine yet here! Make no mistake: my cooking routine this coming week is SURELY going to include this delicious recipe. Yum yum yum. We had this tofu wrapped up in Vietnamese Spring Rolls as a vegan/vegetarian alternative to the shrimp we usually use. It would be excellent just plain as a side, tossed in a sauce over rice, added to a Ramen or Soba noodle bowl, or in a wrap or sandwich. It has a simple taste that goes well with almost anything, and is definitely the best basic way I have found to prepare tofu. First, you’ll need to press the tofu. Tofu has a lot of water in it, and the dryer you can get it the more densely flavored it will be and the crispier it will cook. And while pressing it takes a bit of time, it’s very easy to do. on top of that. The weight of the skillet presses down on the tofu and the towels absorb the moisture. After about 30 minutes, the tofu will have released much of its liquid- you will be amazed at how wet the towels become! 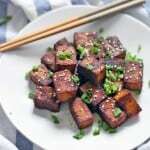 Once you have pressed the tofu, cut it into cubes or slices. Cubes are more fun to eat, in my opinion. However, you will have to sear them on at least four of the six sides to get them to their crispiest. If you are in more of a hurry, slice the tofu into half-inch thick slices- that way, you will only have to sear them on two sides. 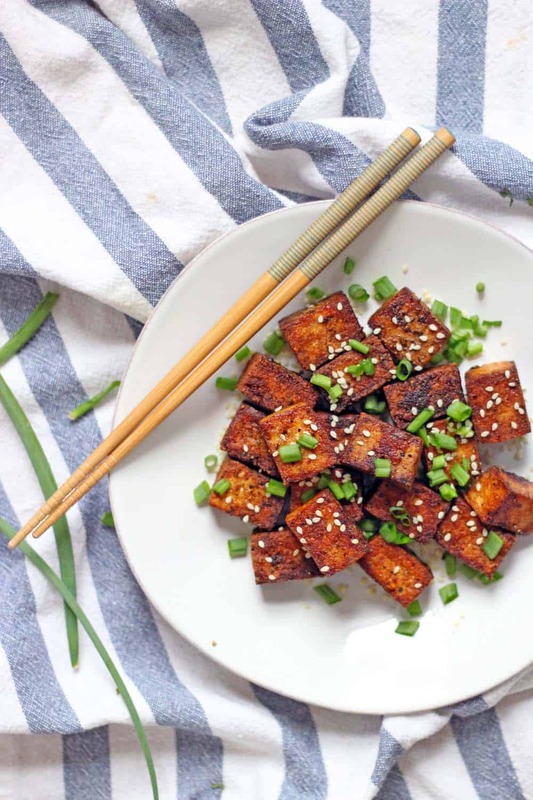 Place the cut tofu in a plastic bag, bowl, or container with approximately three tablespoons of soy sauce (more or less depending on how salty you want it) and plenty of freshly ground black pepper. Mix so that the pepper and soy sauce covers each piece of tofu, and allow to marinate for at least thirty more minutes in the fridge. The tofu will absorb much of the soy sauce while it’s marinating, so you will have very little liquid left. (if using cast iron, make sure it is well-seasoned), heat a couple of tablespoons of olive oil and sear the tofu for only a few minutes on each side, until starting to brown. It cooks up quickly, and if you were able to get a lot of the liquid out from pressing, it takes very little time to sear to crispy perfection! Top with sesame seeds and fresh chopped green onions if you are feeling fancy. This is the best and easiest way to prepare tofu that's crispy, simply flavored and salty, and goes with pretty much anything! No breading or deep frying required- great for tofu beginners. Press the tofu in a tofu press, or by placing with plenty of clean towels on a plate with a heavy skillet on top, for thirty minutes. 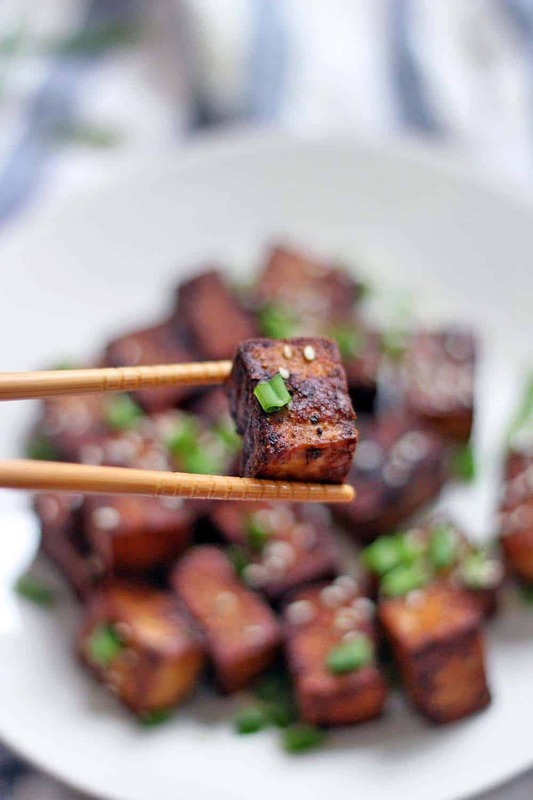 Cut the tofu into 1-inch cubes or 1/2-inch thick slices. Mix the tofu with the soy sauce and black pepper. Allow to marinate in the fridge for at least thirty minutes. Heat the oil in a well-seasoned cast iron or nonstick skillet and sear the tofu on each side on medium-high heat for approximately 2-3 minutes on each side, or until browned and crispy. Garnish with sesame seeds and chopped green onions, if desired. I make this all of time and it’s so good! (And easy :) I usually add a bit of sriracha too.